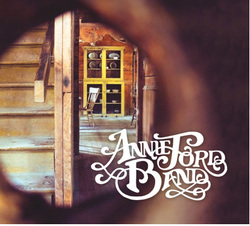 If ever an album could be said to be timeless it is this tremendous debut by the Annie Ford Band. Whilst the music is rooted in the dark Appalachian tales of old there is a large amount of diversity to this extraordinary album. Annie, thanks to her highly skilled fiddle playing has been a much sought after side person for at least a decade, with this album being the result of a diverse musical education and a band that many singers would kill to be supported by. The talented lineup consists of Annie on lead vocals and fiddle, as well as song writing, Matt Mange is on drums, song writing and vocals, Olie Elshleman, pedal steel guitar, Ivan Molton, bass, Tim Sargent on guitar and banjo with Robert Mitchell on piano. Annie’s vocals on occasions remind me of artists such as Eilen jewell and Laura Cantrell, but really she is completely her own stylist and those lovely feminine vocals have a really unique appealing edge. This is the bands second recording, the first being an excellent five song e.p titled ‘Dirty hearts and broken dishes’ that is easy (as well as worthwhile) to track down on the www. There is certainly nothing twee about this country music, in fact although stylistically different she has a similar edginess to that possessed by Nanci Griffith in her early days. Despite the fact that this tremendous music can be put in no other pigeon hole than country music Annie brings a slightly different perspective to the genre and mixes up several other styles, giving her a pretty much unique slot. The sound is never too dense, always having a nice sparse feel that perfectly suits these excellent, mainly rural tales. Thematically the album ranges from deep dark country to a rhythm and blues feel, albeit with a little rock and roll thrown in, and yet it is always easy to sense her country roots irrespective of the direction a song takes. All of these various generic strains are played and sung with not just a huge amount of skill but also with total commitment and believability bringing a virtually perfect diversity to this excellent recording. In my notes I highlighted ten of the eleven songs as being ones to mention in this review, such is the strength of the music. Fairly obviously that would be ridiculous so ultimately I had to pick ‘highlights’ at random with the following being those selections! Album opener Two Sides, qualitatively, if not necessarily generically, pretty much sets the scene for what is to follow. It has a lovely acoustic guitar and fiddle intro before Annie’s beautiful vocal comes in, eventually joined by the atmospheric steel guitar. There is a lovely appealing folksy edginess to her vocal and there are some excellent harmonies added to that terrific country instrumentation on a lovely floaty uplifting if reflective story. Buick 66 is a real beauty with lovely harmonies and an unusual instrumentation giving the mid tempo song an eerie otherworldly atmosphere, reminiscent of the songs on Porter Wagoner’s definitive dark compilation ‘The Rubber room,’ as well as an all round feel of something that Rachel Brooke would appreciate! All Hours is another beauty with Annie’s gorgeous edgy vocal seemingly always containing a backwoods flavor that is difficult to define in any other way. It is a beautiful dramatic ballad with weeping steel guitar and excellent male harmonies, plus a haunting fiddle solo on an epic song that has a dark ethereal beauty and clocks in at an all too brief six and a half minutes. Frankie exhibits the diversity in this tremendous album, being a speedy up tempo, upbeat, barrel house, rolling version of the classic ‘Frankie & Johnny’ updated for the 21st century and with a lovely lightness of touch! There is some terrific fiddle playing on Lovesick, a song that at times feels a little like a 1950s uptempo rock and roll song but with a country strand running through it, on a tale that is defined by the title, with Annie’s vocal a little reminiscent of Eilen Jewell. Album closer Gotta Kill A Rooster signals more diversity on an unusual song that has a ‘hillbilly jazz’ feel. The slashing guitar and heavy bass propel a song that gradually picks up speed and strangely, not only contains humour but also a slightly ‘threatening’ atmosphere. The discordant fiddle and gradual overwhelming ‘Gypsy violin’ creates a spookiness that brings this tremendous album to a dark conclusion. Picking those songs at random meant one of my real top favourites doesn’t even get a mention but it matters not on this album of great songs! This is most definitely a powerful debut album that really should signal the start of a successful career and the coming of a vocalist and band whose music contains elements of several genres (and indeed artists) but really are so different that they are in a pretty much unique field of their own. Despite this being to all intents and purposes a ‘country’ album, in many ways it makes generic definitions redundant. Just label it as a great album!